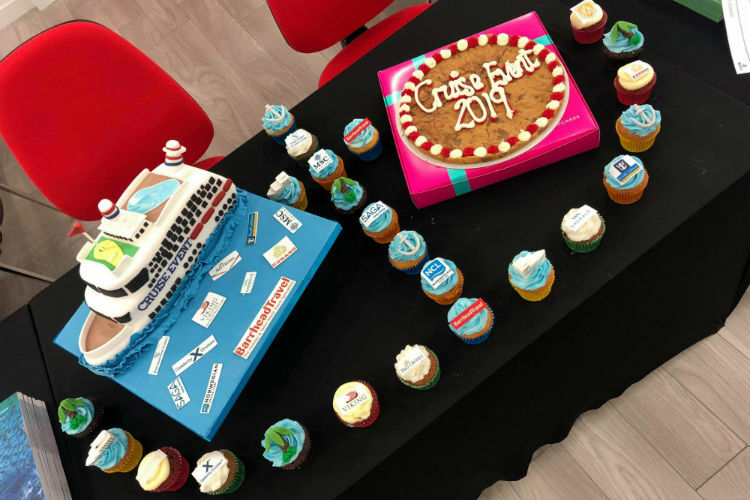 Barrhead Travel’s new-look Livingston store has set a new record for single-day sales following its third annual cruise event. Following a revamp, which has doubled the size of the store, the West Lothian branch carried the momentum into its cruise show. Besides increasing revenue 37% on last year, the store broke the company’s record for highest single-day sales for an individual Barrhead branch. The success of the cruise event also helped the store crush its previous sales record by 16%. Based in Livingston shopping centre, The Centre, the revamped and newly expanded store, has been modernised and kitted out with new equipment and technology. Store manager James Devine said events like the cruise show had become a “key part” of branch strategy to inform and inspire customers. “We’re absolutely thrilled at the success of our cruise show,” he said. “My team are truly amazing and it’s thanks to their genuine dedication to their customers that made the event what it was. “It was also great to be supported by our colleagues across our network as we welcomed consultants from other branches to help us on the day. The passion and team spirit from our Barrhead Travel team as well as our fantastic suppliers was so apparent and created a real buzz and sense of excitement for our customers. P&O Cruises was one of 11 partners who attended the show. “The attention to detail and the on-the-day execution from James and his team was phenomenal,” said Karen Cameron, P&O Cruises regional sales engagement manager. “I was so pleased with the sales we generated and for me the best part was being able to really get to know [James’s] customers and interact with them to showcase what P&O Cruises has to offer.